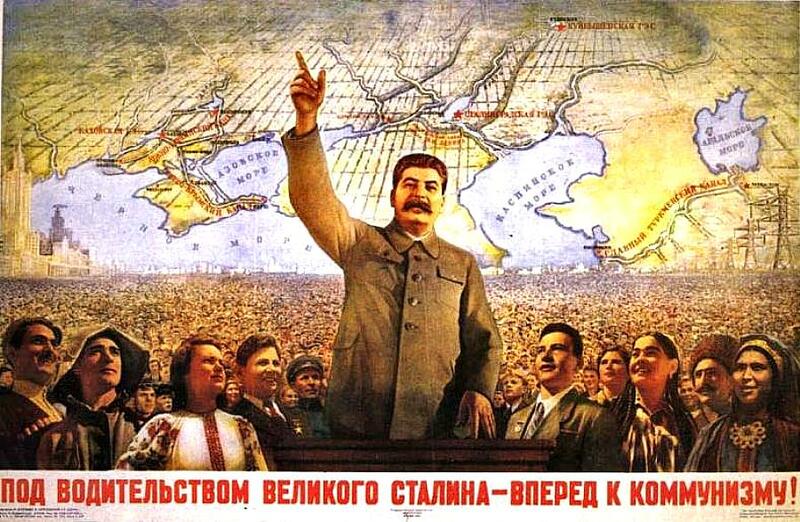 "Under the rule of great Stalin - let's go ahead to communism!" From the start, they made up for their small numbers with outsized violence. If at first their executions of liberals, socialists, workers who showed independence, and peasants from whom grain was seized at gunpoint seemed like a short-term necessity, it soon became evident that the violence would never stop. In fact, it was to grow, with Stalin proclaiming “the intensification of the class struggle” when Bolshevik control had long been total. The Bolsheviks made up for their small numbers with outsized violence. ...[N]o form of government had ever been so brutal to those it regarded as its own people. Soviet Russia was far crueler than its tsarist predecessor, which had long been proverbial as “the gendarme of Europe.” Between 1825 and 1905, the tsars executed 191 people for political reasons—not for mere “suspicion” as under the Soviets but for actual assassinations, including that of Tsar Alexander II. In The Gulag Archipelago, Alexander Solzhenitsyn remarked that between 1905 and 1908 the regime executed as many as 2,200 people—forty-five a month!—“calling forth tears from Tolstoy and indignation from Korolenko and many, many others.” By comparison, conservative estimates of executions under Lenin and Stalin—say, twenty million from 1917 to 1953—yield an average of over ten thousand per week. That’s a tsarist century every few days. Some figures speak for themselves. The volume’s scholars estimate twenty million deaths in the USSR, sixty-five million in China, two million each in Cambodia and North Korea, 1.7 million in Mengistu’s Ethiopia and other African countries, and so on, to a total of about one hundred million. .... So far as I can tell, these estimates are understatements. For example, the most authoritative study of Stalin’s war against the peasantry in the early 1930s, Robert Conquest’s Harvest of Sorrow, arrives at a figure twice the one in this volume. The difference between the two estimates—the margin of error—equals the number of Jews killed by the Nazis.